Michael Petrovich, Ph.D., obtained his Bachelor's degree in psychology at St. Joseph's College, Rennselaer, IN. He did and internship at the Merrill-Palmer Institute for Children at Northeast Guidance Community Mental Health Center in Detroit. He obtained his Ph.D. in 1983 from the California School of Professional Psychology - Fresno Campus. He has worked with adolescents and adults in inpatient and outpatient settings. He served as Chief Psychologist and Adult Team leader for the Kaiser Permanente Medical Group - Fresno, from 1993-2014. 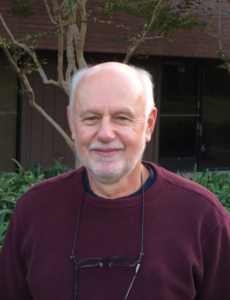 He also served as Director of Training at Kaiser from 1993-1995 and has been continuously active in supervising psychology interns over the past 20 years. Currently, Dr. Petrovich is now a member of the Senior Staff at the Sullivan Ceter for Children and specializes in working with married couples who are in distress, as well as adults and older adolescents who suffer from anxiety, depression, or PTSD. In 2010 the San Joaquin Valley Psychological Association recognized him as the Distinguished Psychologist of the year, in appreciation for his service to the profession as a clinician, teacher, supervisor, and community leader.